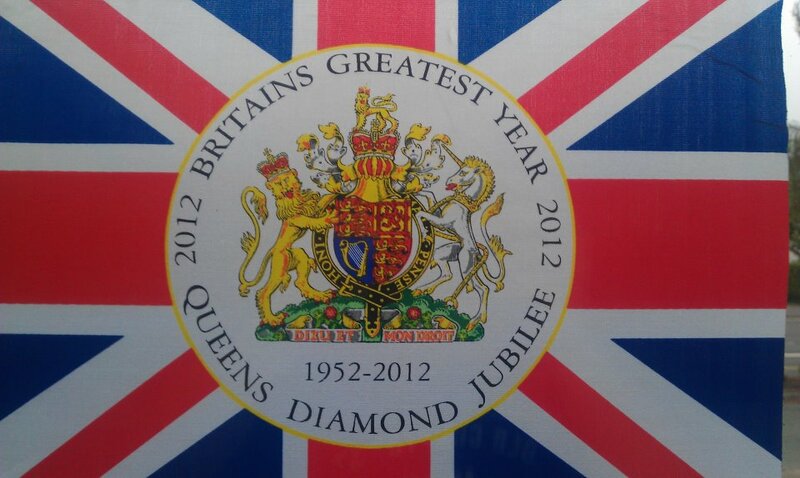 This flag, spotted at the recent Diamond Jubilee, is a double-whammy. This may be Britains greatest year [sic], but the nation may have reached its low point for punctuation. And unless this celebration is taking place in a borough in NYC, Queens is wrong too. Thanks to Brenig for posting this through the Apostrophe Catastrophes Facebook page. The Union Flag is also wrong. The thicker white bands should be BELOW the red diagonal on the right side, assuming the flag pole is on the left.